Carroll Bros. Contracting was recently contacted by a home owner with a story we get quite frequently. His family had outgrown their swimming pool, having purchased his house and had the pool built nearly 30 years ago his kids were now grown and out of the house; as well because of non use, the pool and area around had trees and weeds growing in and through it. Carroll Bros. 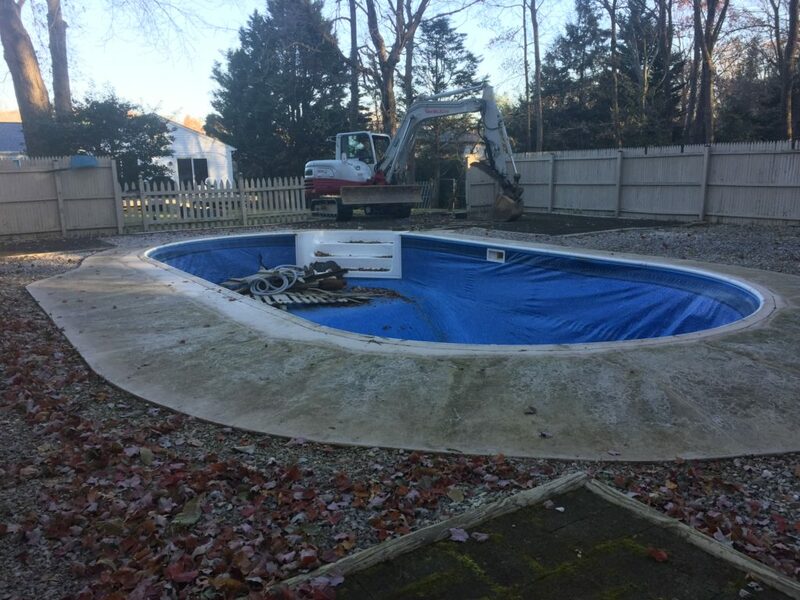 Contracting was hired for this Vinyl pool removal in Davidsonville Maryland. 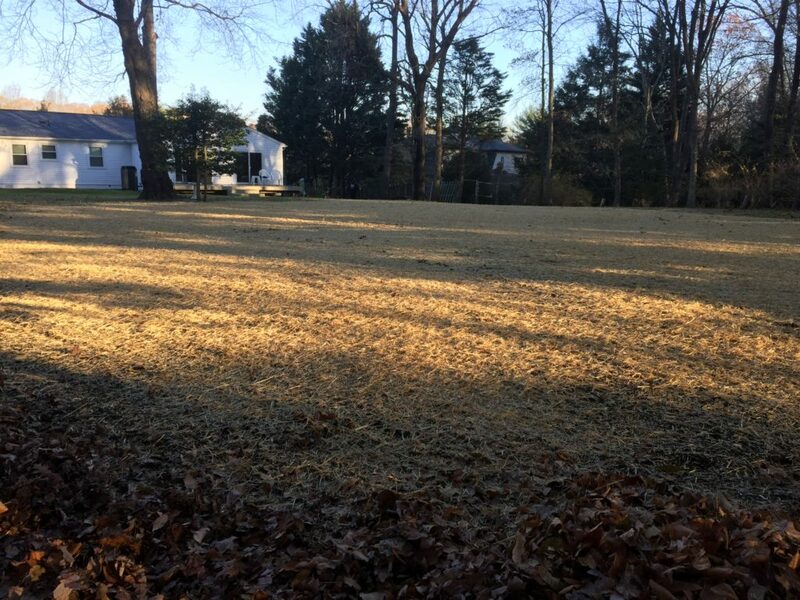 As you can see from the picture below, this vinyl pool in Davidsonville Maryland took up a lot of the backyard, and the liner was old and needed replaced. Instead of sinking money into a new liner, for a pool he would never use, the home owner decided to contact Carroll Bros. Contracting in hopes of re-gaining his backyard. Once we were on the job site, it was decided we would not only remove the pool and the patio around it, but the fence surrounding the pool as well. The pool had taken up about 80% of this home owners back yard, from the After picture below you can see that is no longer the case. This home owner like many of Carroll Bros. Contracting clients, used his pool for a long time and simply out grew it, then while the pool sat unused, it became more and more maintenance, this family got their money out of their pool and when they no longer needed it they reclaimed their backyard. Carroll Bros Contracting removed the pool, surrounding patio and fence, filled the hole with dirt, soil, seed and straw to give this happy customer a perfectly graded backyard. If you have an in-ground pool that your family has outgrown or has fallen into disrepair, call Carroll Bros. Contracting and Pool Removal. Our team will evaluate your situation and offer a fair estimate. Most importantly, you can trust us to work efficiently and quickly. That way, you can reclaim your backyard space. Schedule an appointment with us today!